Amazon affiliate links are used on this page. This is a paid advertisement by the author. Born into a rural farm family in Jamaica in the 1940's, Kelly Codling had no inkling that he would wind up bringing his grandmother's spicy island delicacies to Athens, Georgia. His unwavering belief in the power of a dream and his unshakeable faith has taken Kelly through a blood-soaked tragedy in Texas, a jealous seafood rivalry in Florida, and finally to founding a Jamaican food empire in the college town of Athens, GA. True Believer is a personal memoir, a cookbook, a self-help book, and a guide to anyone seeking to chase a dream. "The dream is the important thing. Don't focus on money. The money isn't what matters. The dream is." Athens, GA---Kelly Codling, owner of Athens, Georgia-based Jamaican restaurant Kelly’s Authentic Jamaican Foods, has written a guide for anyone chasing a dream by sharing his personal story with Athens author Bowen Craig. 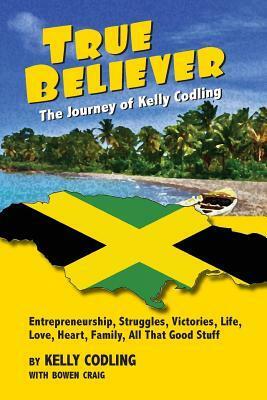 In True Believer: The Journey of Kelly Codling (Bilbo Publishing; On sale: July 2018 ; $15.00; 978-0998162706), he shares his words of wisdom from how he went from an island prince to poor immigrant to the successful owner of two restaurants. Readers will be transported 1950s Jamaica where Codling learned important life lessons from his parents and the family’s large-scale farming operation. These lessons served him well when he immigrated to the U.S. in 1969 to attend college and later to start his first restaurant with little capital. To bring his life story to the page, Codling paired up with Bowen Craig, co-owner of Athens-based Bilbo Publishing. 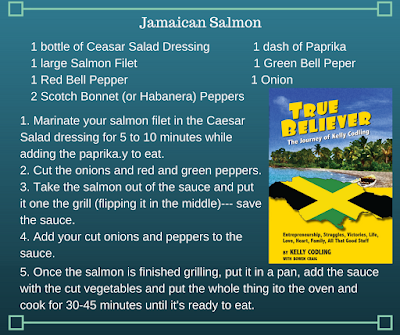 Craig has been involved in the book industry for a number of years, but more so he is a big fan of Kelly’s Authentic Jamaican Foods and Kelly himself. Codling hopes to guide and inspire the next generation of dreamers by sharing his life experiences and what he has learned along the way. 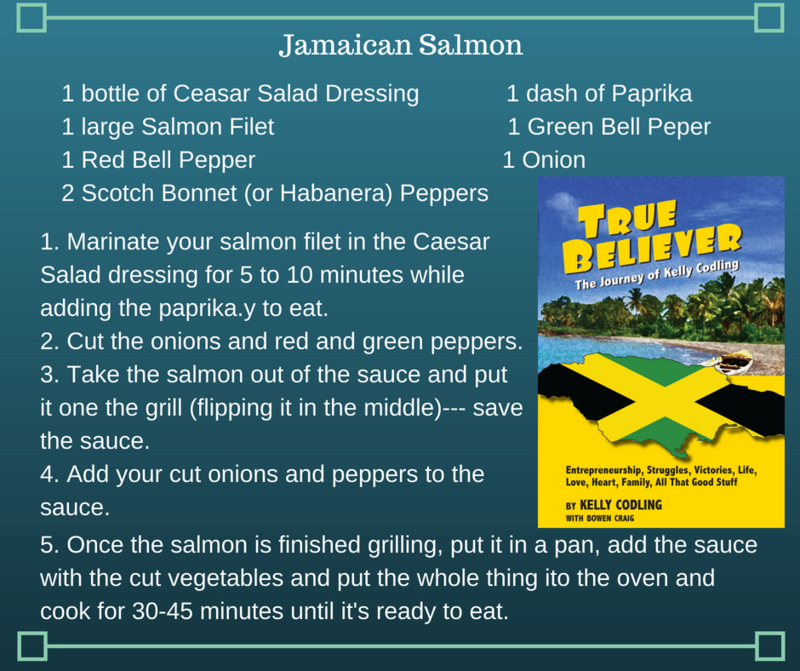 Patrons of Kelly’s Authentic Jamaican Foods have long sought out the story behind the man, but in True Believer, they get more than just his life story or business advice. Codling also shares some of his best-loved recipes. Now, whether you are in Athens, Georgia or across the country in California, you can get a taste of the island just the way Kelly does it.